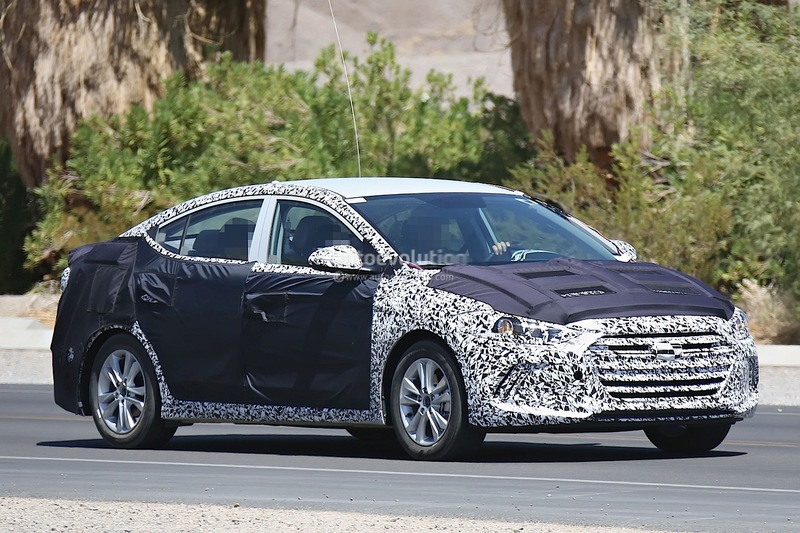 Hyundai has tasted great success with their new Fluidic design concept and now the 2016 Hyundai Elantra was spotted with a similar design structure. Unfortunately the fifth generation 2016 Hyundai Elantra was heavily camouflaged and not much can be gathered about the overhauled look of the new Elantra. But nevertheless one can still see a few changes on the new Elantra which is inspired by the Hyundai Genesis and Sonata. Hiding behind the camouflage one can notice an elegant and sleek front headlight cluster, a newly and aggressively designed front bumper, which sports sculpted outer flanks with LED strips and air-vents and a chromed hexagonal front grille. The rear design sports, new tail lamps and rear fenders. 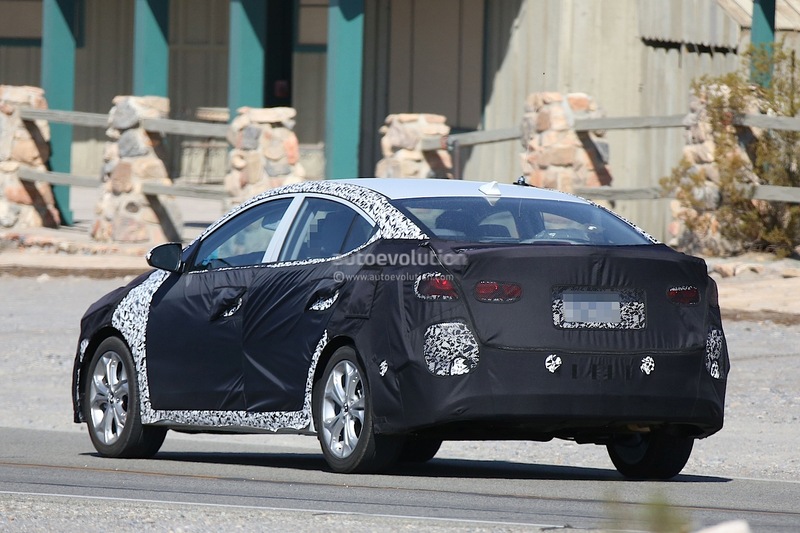 Talking about the powertrain in the 2016 Hyundai Elantra, not much has been revealed or said by the company. But one can expect Hyundai to continue with the same engines, except tweak it a little to give a better fuel-efficiency and lower CO2 emissions. Where the suspension and chassis is concerned in the new Elantra, Hyundai may make a few minor modifications to provide better handling and a smoother drive. 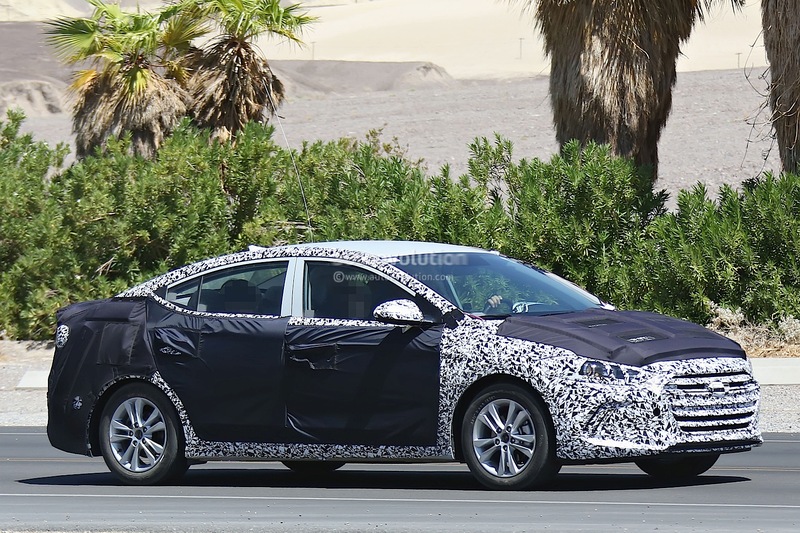 Hyundai may plan to officially launch the 2016 Hyundai Elantra in the latter half of 2015 and will be up against the Chevrolet Cruze, Mazda 3 and Ford Focus. We hope the 2016 Elantra, with its new styling may also feature a hi-tech instrument cluster inside the cabin, which will help it boost sales its sales in the sedan car segment. Maruti YBA compact SUV spied inside out! New Tata Nano GenX To Take On Entry Hatchbacks Maruti Alto And Hyundai Eon.